Amazing audio where a sound bar doesn’t fit. Fill your room with incredible 2.1 channel sound from two uniquely angled speakers designed to deliver an enhanced sound stage and an integrated subwoofer for a powerful bass performance. Experience all your favorite entertainment expertly tuned and easy to stream with built-in Bluetooth®. It’s simple to set up and turns your confined space into a concert hall. The VIZIO Sound Stand is designed unlike any other audio solution. The innovative form factor is the culmination of our engineering team balancing performance and convenience. The VIZIO Sound Stand features booming audio with up to 101 dB* and remarkably powerful built-in bass. Experience state-of-the-art audio technology from DTS® and Dolby® that makes movies feel like you’re at the theater and songs sound like you're in the studio. 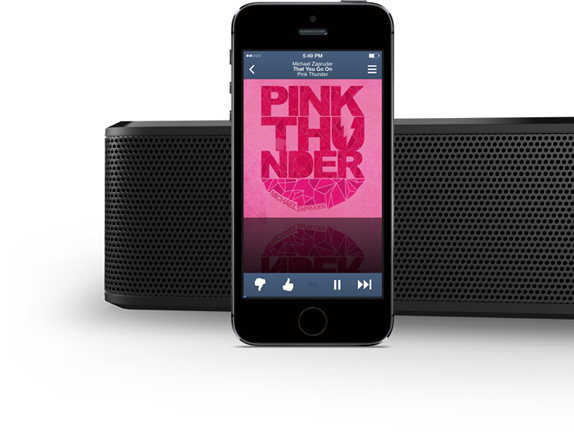 Packs a powerful stereo sound. 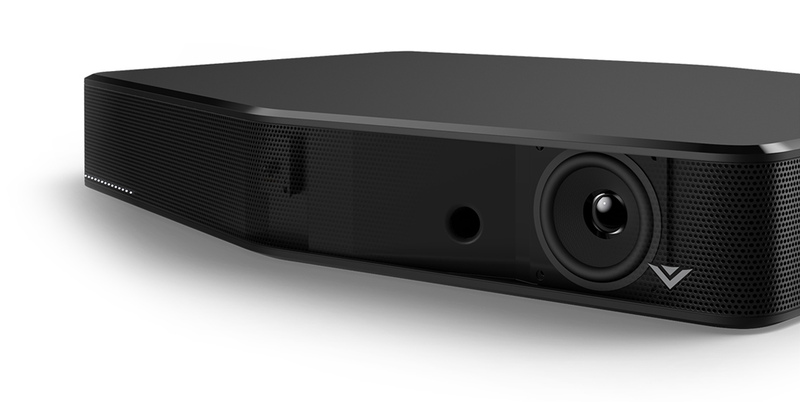 The angled speaker design projects an enhanced sound stage with up to 101 dB and less than 1% harmonic distortion*. Play your loudest music and still maintain crisp precision. Feel the engines rev loud during your favorite car chase scenes with thunderous bass reaching as low as 55 Hz. The Sound Stand's innovative design features an integrated 5.25-inch subwoofer that's ready to rumble. VIZIO Sound Stand is built to stack your TV right on top with a stable design engineered to comfortably support TVs up to 55 inches (diagonal) and up to 60 lbs. in weight. Give your TV a lift and save space. VIZIO Sound Stand utilizes DTS® post-processing audio technologies to deliver elevated multi-channel audio and more engaging surround sound. Make your movies boom even louder with the latest innovations. DTS TruSurround HD™ is a virtual surround sound solution that delivers a realistic surround sound environment over Stereo or 2.0 speaker configurations, most notably on sound bars. DTS Studio Surround™ processes up to 5.1 channels of audio to deliver a realistic and immersive surround sound experience. To provide a complete audio entertainment experience, post-processing and psychoacoustic techniques are implemented. Forget docking. Built-in Bluetooth® technology makes it easy to wirelessly stream your favorite music or Internet playlist from your smartphone, tablet or PC. Spend more time playing your playlist and less time playing around with wires. Setting up your new VIZIO Sound Stand is as simple as connecting a single audio cable from your VIZIO Sound Stand to your TV. For your convenience, we’ve included all the input cables right in the box. — For DTS patents, see http://patents.dts.com. Manufactured under license from DTS Licensing Limited. DTS, the Symbol, & DTS and the Symbol together are registered trademarks of DTS, Inc., DTS TruSurround HD®, DTS TruVolume®, and DTS Studio Sound® are registered trademark of DTS, Inc. © DTS, Inc. All Rights Reserved. * S2121w-D0 is rated at 101 dB. Sound Pressure Level measured using pink noise at 1 meter, C-weighted. Total Harmonic Distortion calculated as electrical measurement of amplifier distortion. Product with Stand Weight10 lbs. Firmware update for the S2121w-D0 Sound Stand. Download and follow the instructions below to update your S2121w-D0. This update addresses moments where your Sound Stand becomes unresponsive to remote control commands suddenly and a power cycle (unplug power and plug back in) is necessary to remedy the problem.